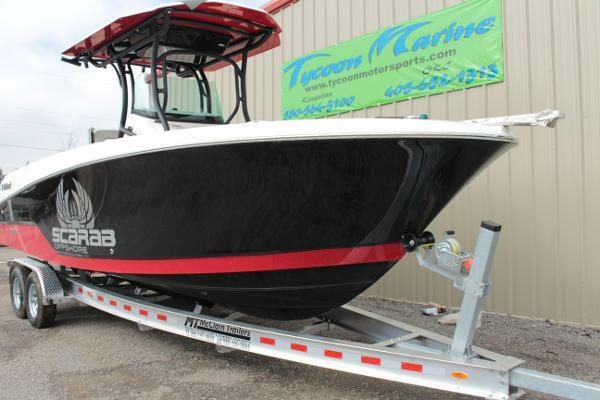 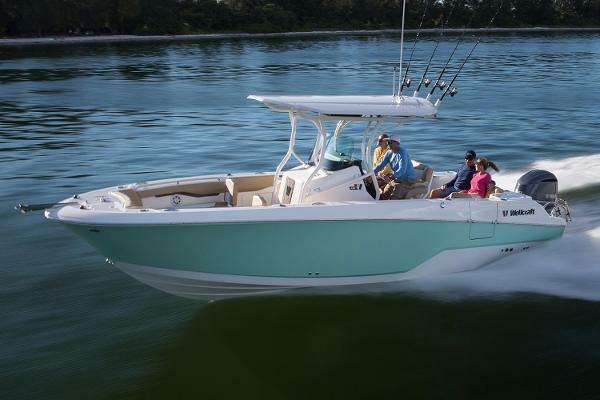 Behind the 26’, 262 Fisherman navigation and angling come easy and stress-free. 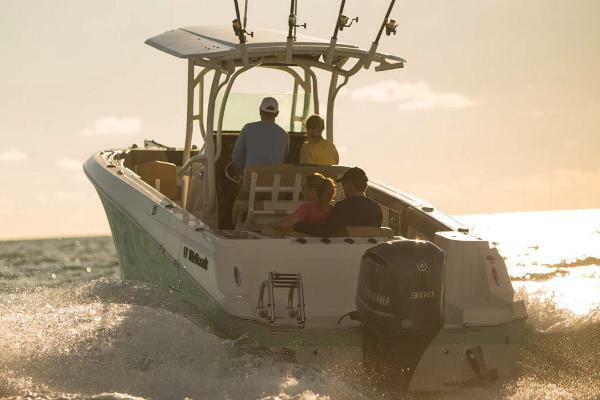 Cast off and enjoy all day fishing from any point on the boat through extensive fishing platforms. 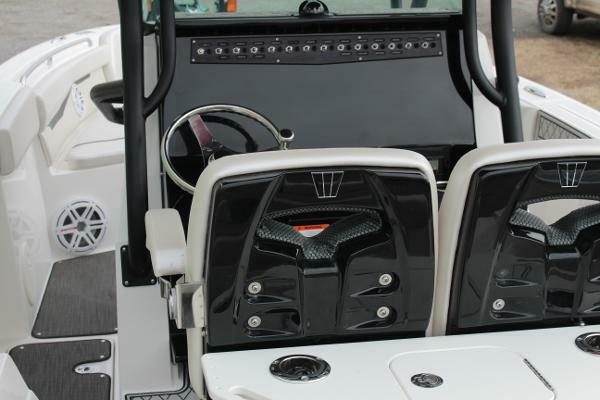 Reserve the enclosed head for your largest equipment or utilize the onboard porta pottie to avoid any inconveniences on the water. 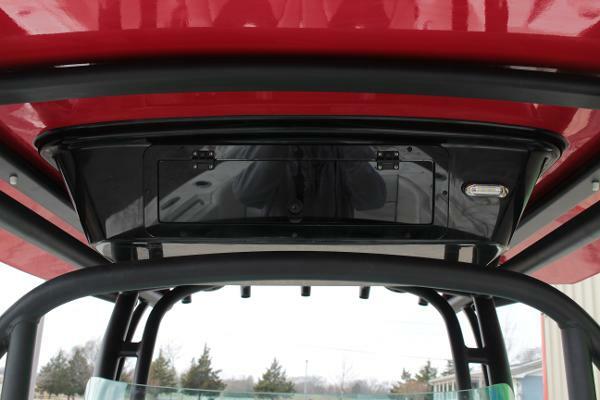 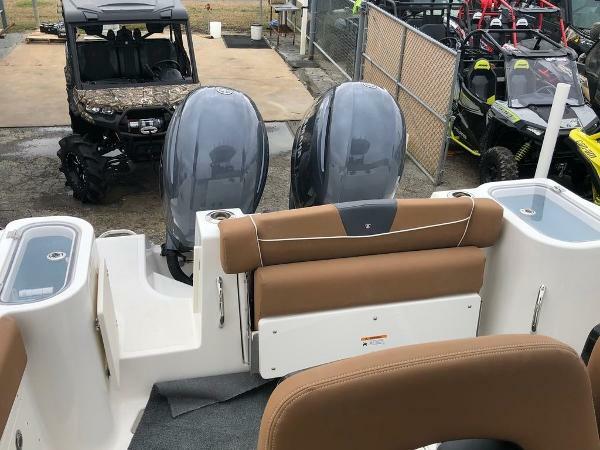 Alongside the deluxe T-top overhead that delivers a shady deck and additional holders for your sticks; deep, live wells, fish boxes, rod holders and tackle storage come standard so running out of room on the boat will never be a concern. 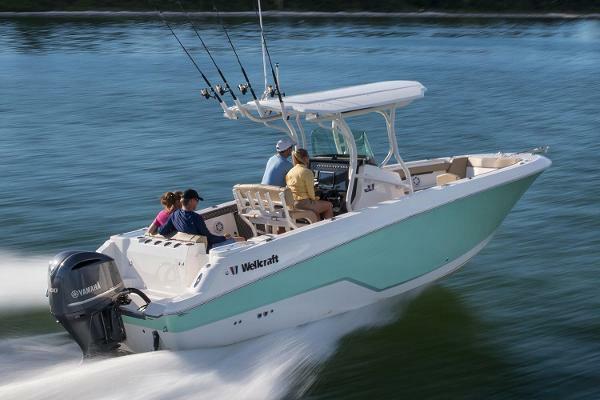 Aft the helm, the glassed bait station will be your go-to spot for rigging and prepping baits before you fold the transom bench for more casting freedom off the stern. 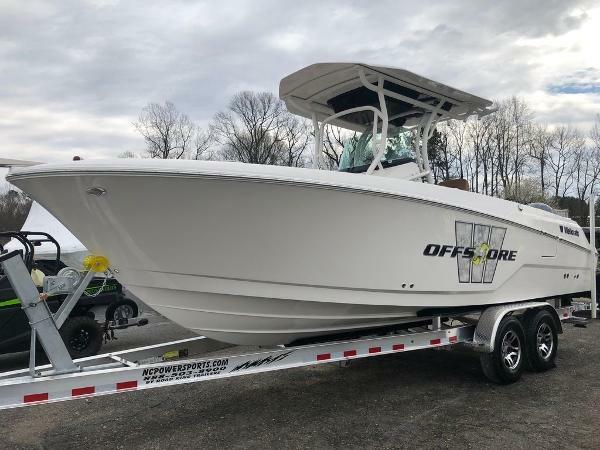 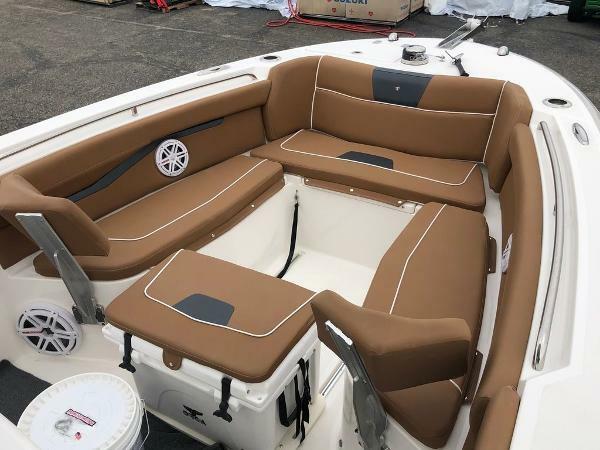 With so many colors, additional features and packages to choose from, such as Scarab Offshore and Bow Seating, cruising with your loved ones and landing fish with your tournament buddies have never been more enjoyable.